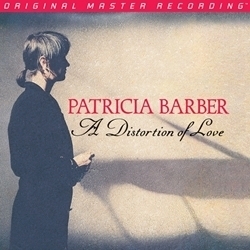 Half-speed mastered from the original master tapes and pressed at RTI, Mobile Fidelity’s numbered, limited-edition 180g LP of the Chicagoan’s sophomore album features the similar wowing detail and perspective-altering clarity offered on the reissue label’s celebrated versions of Mythologies, The Cole Porter Mix, and the now out-of-print and extremely sought-after Café Blue, Modern Cool, Companion, and Nightclub. Barber, guitarist Wolfgang Muthspiel, bassist Marc Johnson, and percussionist Adam Nussbaum achieve like-minded heights on an improvised and clever read of the Temptations’ “My Girl.” Here, and again especially on the aptly titled “You Stepped Out of a Dream,” Barber’s textured vocals seemingly float on a jet-black plain, emanating as if her lips and mouth are just feet away, the slap of the acoustic bass and patter of the drums responding in kind to her expressiveness. Whether you’re familiar with this album, a longtime Barber fan, or just coming to her for the first time, Mobile Fidelity’s pressing of this record will please even the sternest critics of vocal jazz.